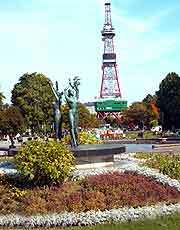 Whether you are looking for recreational space or authentic Japanese gardens, Sapporo has plenty to please. For plant lovers, the Hokudai Shokubutsuen Botanical Gardens are hard to improve on and boast many huge plant specimens and exotic flowers, while for children in Sapporo, the zoo within Maruyama Park is always a true highlight. 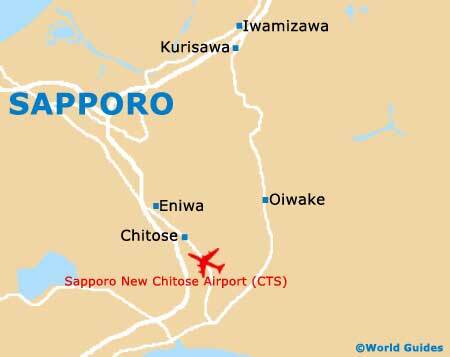 Many visitors to Sapporo are surprised to discover the Nishioka Suigenchi Nature Reserve, which is centred around a large lake and close to the very heart of the city. The main parks and gardens are explained below. The Hokudai Shokubutsuen Botanical Gardens date back to the latter part of the 19th century and are one of the true horticultural attractions within the city of Sapporo. Literally thousands of plant specimens and species grow in these gardens, which features both woodland settings and more formally landscaped planting with traditional Japanese elements, such as maples, bamboo and seasonal springtime cherry blossom. Maruyama Park enjoys a dramatic mountainous backdrop, standing alongside Mount Maruyama itself, on the westerly outskirts of Sapporo. 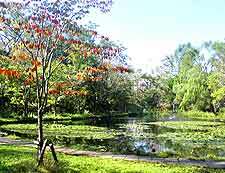 Providing plenty of recreational activities and sports facilities, this spacious park also boasts the city's zoo, together with almost 2,000 wild cherry trees, densely forested areas and pleasant naturalistic scenery. Of particular interest during the snowy winter months are the nearby Okurayama ski slopes. 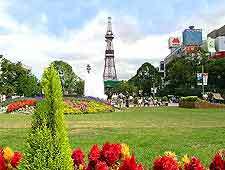 Smack in the centre of Sapporo is Odori Park, home to lush green lawns and varieties of trees and flowers. Also of interest are the monuments, fountains and sculptures, making this a cultural and stimulating place to take a stroll. Year-round activities keep the park lively, such as the wintertime Snow Festival and White Illumination, while summer events include the Bon and Yosakoi Soran festivals. For kids, a shallow stream will keep them occupied, as will the stands selling various snacks, which are open during the long summer season. Local wildlife flourishes within the peaceful Nishioka Suigenchi Nature Reserve, enjoying the various conditions on offer here, which range from wetlands and reed beds, to more open expanses with mature trees. An elevated pathway allows you to fully appreciate the marshy areas and their colourful, wild flowers with ease.